No ring, but just a bouquet of roses. 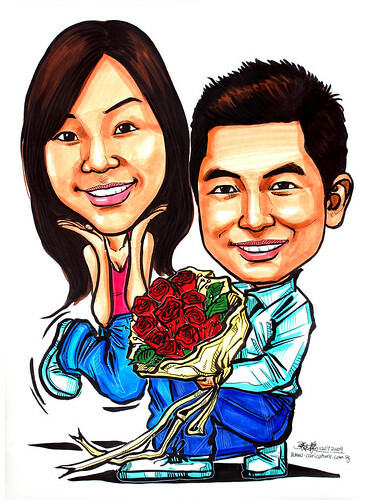 Great caricature !! You're so talent artist! !